Guys. Guys. GUYS. 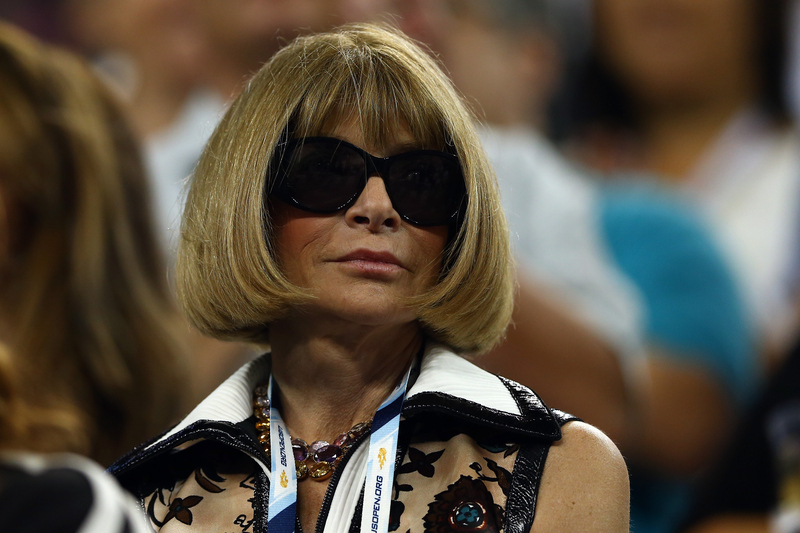 The perfectly coiffed queen of fashion/Editor in Chief of Vogue Anna Wintour has a flip phone. That's it, I'm done. Signing off forever, because my weekend/month/life has been made forever. This is incredible. Even better than the time she did the Ice Bucket challenge and screamed at the top of her lungs when the water hit her hair. According to the Daily Mail, Wintour was spotted at the US Open enjoying a little tennis and what I can only assume is a fun game of Snake on a tiny, black, probably pay-as-you-go flip phone. She even had to squint to look at the screen because, dang, remember how tiny those things were? So, what, is this a burner phone? Maybe Wintour has an iPhone for talking to her high fashion friends, a Blackberry for business, and a flip phone that she tosses after each use when she's chatting with really embarrassing people like Justin Bieber or someone who shops at Forever 21. Does she use T9 to talk about who will be on the September issue cover? Does she have a passive aggressive ringback tone that changes depending on who threw Twitter shade at her that week? Anna Wintour, I demand some answers.